Steel band mounting brackets for our 4-1/4" Dia. Accusump. Mounting clamps are required for all Accusump. When used on each end of an Accusump they provide the proper support at the end caps to ensure the tube does not become distorted. 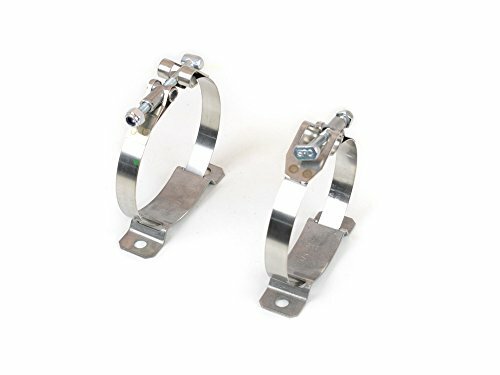 These are sold as a set of two stainless steel T-clamps.